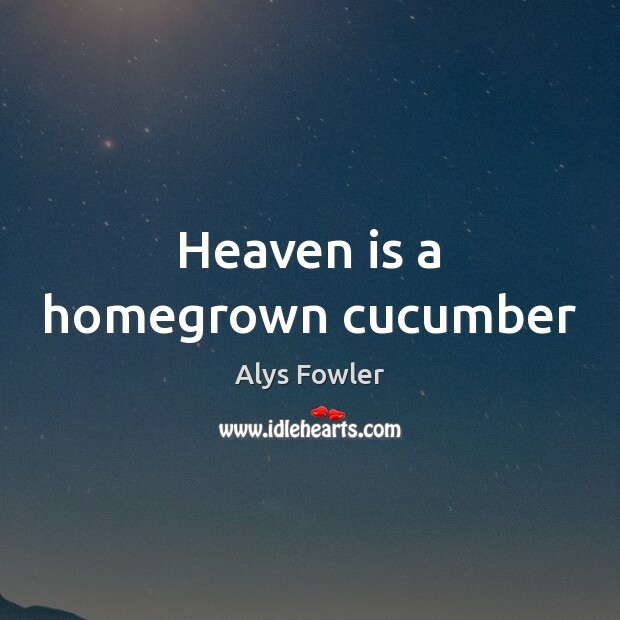 Enjoy the best inspirational, motivational, positive, funny and famous quotes by Alys Fowler. Use words and picture quotations to push forward and inspire you keep going in life! I am made for autumn. Summer and I have a fickle relationship, but everything about autumn is perfect to me. 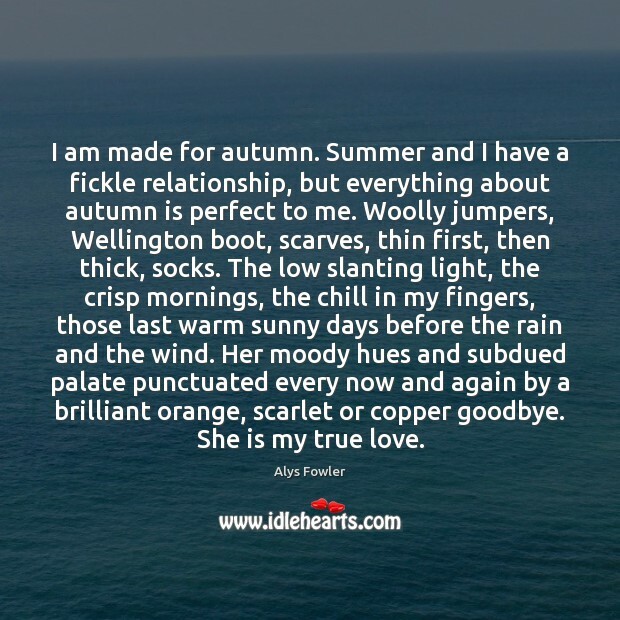 Woolly jumpers, Wellington boot, scarves, thin first, then thick, socks. The low slanting light, the crisp mornings, the chill in my fingers, those last warm sunny days before the rain and the wind. Her moody hues and subdued palate punctuated every now and again by a brilliant orange, scarlet or copper goodbye. She is my true love.